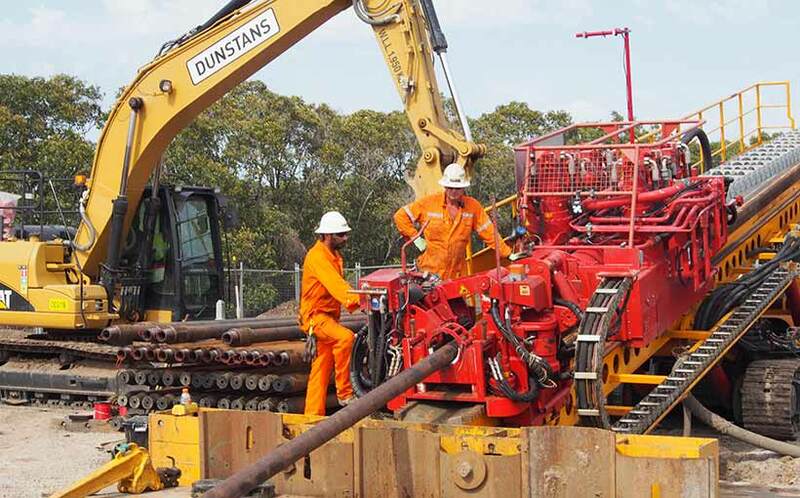 Dunstans has successfully completed the installation of the first two stages of the Caltex jet fuel pipeline in Brisbane, which included four complex HDD crossings. This was an keystone project for Dunstans with the completion of the longest HDD crossing of the Brisbane River and the installation of the 1,100 metre new 250mm poly coated steel pipeline below the river. Three additional HDD crossings were carried out in busy industrial corridors with the entry and exit locations within metres of high-pressure gas, water and fuel pipelines as well as electricity, fibre optic and copper telecommunications cables. All HDD crossings were successfully completed on time and with no time lost due to injury.